I hope you all had a great winter season and I am sure you are all ready for spring! In many parts of the country spring has sprung and I know you are ready to get started on some spring organizing projects! I have 3 quick and easy ways to make spring organizing projects fun and productive for every household. 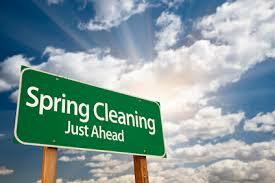 My first organizing tip to start your spring project is to split your projects into smaller tasks. For example when you and your child need to organize their bedroom start with only 1 category which may be for example clothes. Only look at the clothes that are in the room and not in the closet yet and decide if the clothes on the floor are clean or dirty. Put the clothes in the laundry if they are dirty and hang up/fold the clean clothes and put them in the drawers or in the closet. And only work on clothes in the room until that is all done. If you are inspired after that then purge/sort and organize the clothes in the closet. Once the category of clothes is done you can tackle another category that day or if you are working with your kids give them a break and work on another category another day! The second organizing tip and I always tell my clients this is when you start an organizing project turn on some music that you love to listen to or turn on the TV for background noise. I want my clients to enjoy the process and why not make it fun and have some upbeat music to keep you energized! Or turn on the TV to just have some background noise which I know a lot of people like to have. There are many times it is the opposite and my clients want complete silence so they can concentrate on the task at hand which works out well for them! My third tip is I know that many people have a hard time making decisions about organizing and what to keep, what to do with things and what is the best way to organize the items in a space etc. My suggestion for the spring organizing is to look at a space and only make decisions on things that you know 100% you want to dispose of, recycle or donate. And that is all! For example if you are organizing your garage area look at items that 100% you know you can throw away due to it is broken or you are sure you can donate the big wheel bikes since your kids are in high school now or things that were damaged due to the winter season and cannot be repaired. Your decisions should be easy when you only look at things that you are 100% confident you can dispose of and then later you can work on the organizing aspect of the project at a separate time. In any project that you are working on many people like to start with the easy tasks first and once they are engaged in the project they are motivated to keep going! So if you are inspired by the spring weather and want to start a project use these 3 tips to get you started and I know you will feel so much better and have an organized space! Happy Springtime!